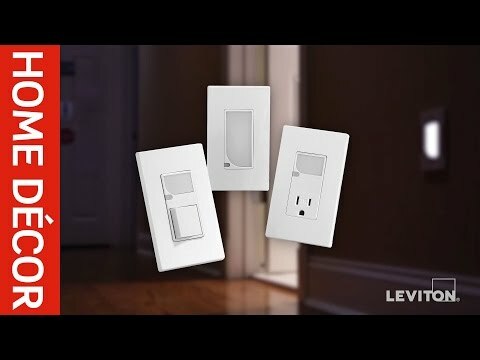 Leviton Decora® SmartlockPro® 2-Pole Slim GFCI receptacle in white color, has current rating of 20-Amps and voltage rating of 125-Volts. This weather-resistant receptacle withstands short-circuit rating of 10-Kilo-Amps and dielectric voltage rating of 1250-Volt AC. 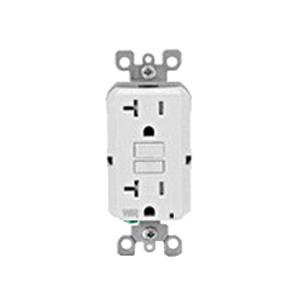 This 3-Wire receptacle has back and side-wired connection and accommodates 14 - 10-AWG wire. Receptacle has brass-hot, green-ground, silver-neutral color-coded terminals for easy user identification. It includes external back-wire clamps that provide visual indication of proper wire seating. It has 0.031-Inch triple-wipe brass contact for optimal signal conductivity. 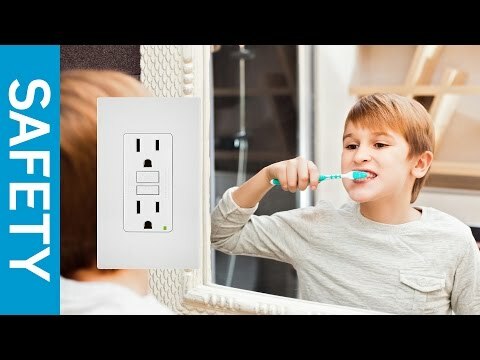 Advanced electronics design in the receptacle provides superior resistance to electrical surges and overvoltages. It incorporates green LED to alert the installer about the line load wiring reversal. This receptacle features polypropylene face and polycarbonate body. It resists high torque and resists wire pull out. It offers improved immunity to high-frequency noise to reduce nuisance tripping. Receptacle features stainless steel strap for easy mounting. It withstands temperature range of -35 to 66 deg C. Receptacle is ideal to install in any electrical box and even shallow ones. It is compatible with all Decora devices and wallplates. Receptacle has NEMA 5-20R rating for added safety. It has V-2 per UL94 flammability rating to withstand harsh environmental conditions. Receptacle is UL listed, CSA certified and meets MIL-SPEC A-A-55459-SB, Federal Specifications WC-596, ANSI C-73, NOM 057, NEMA WD-6 standards. * Inventory displayed is accurate as of 04/18/2019 03:40 EDT.